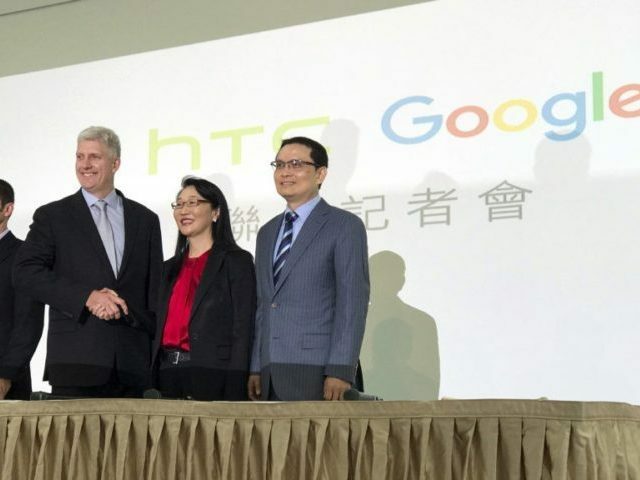 Google has reportedly reached a deal with HTC to acquire a number of employees in a $1.1 billion exchange that also includes licensing of HTC technology. HTC’s Chief Financial Officer Peter Shen stated that the company would still continue to employ more than 2,000 research and design staffers after the mobile division transfer to Google, down from 4,000 employees. HTC will still continue to develop their own smartphones, CEO Cher Wang said that the deal with Google will “ensure continued innovation within our HTC smartphone and Vive virtual reality business.” According to a press release, the company is “actively preparing” to release their next flagship smartphone. This isn’t the first time Google has made a large purchase of a smartphone manufacturer, Google announced a $12.5 billion buyout of Motorola Mobility six year ago. “Together, we will create amazing user experiences that supercharge the entire Android ecosystem for the benefit of consumers, partners and developers everywhere,” said former CEO Larry Page at the time. Google’s next lineup of hardware includes the Pixel 2, Pixel 2 XL which will be manufactured by LG, Google Home Mini, and the Pixelbook.